Beautiful Birthstone Heart Necklace with Daughter Disc Pendant. Custom made for girls or ladies so you won’t find anything else like this on the high street! 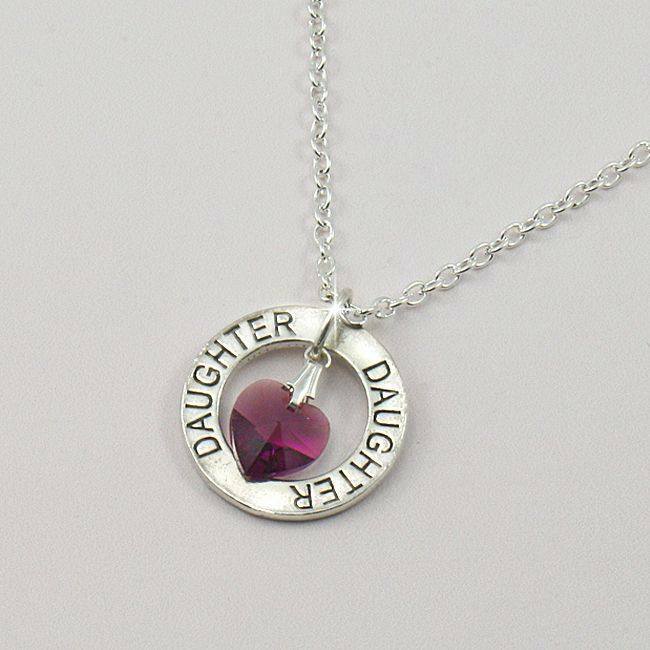 This necklace features a Swarovski Elements Crystal Birthstone Heart of your choice. « Beautiful Sterling Silver Charms.